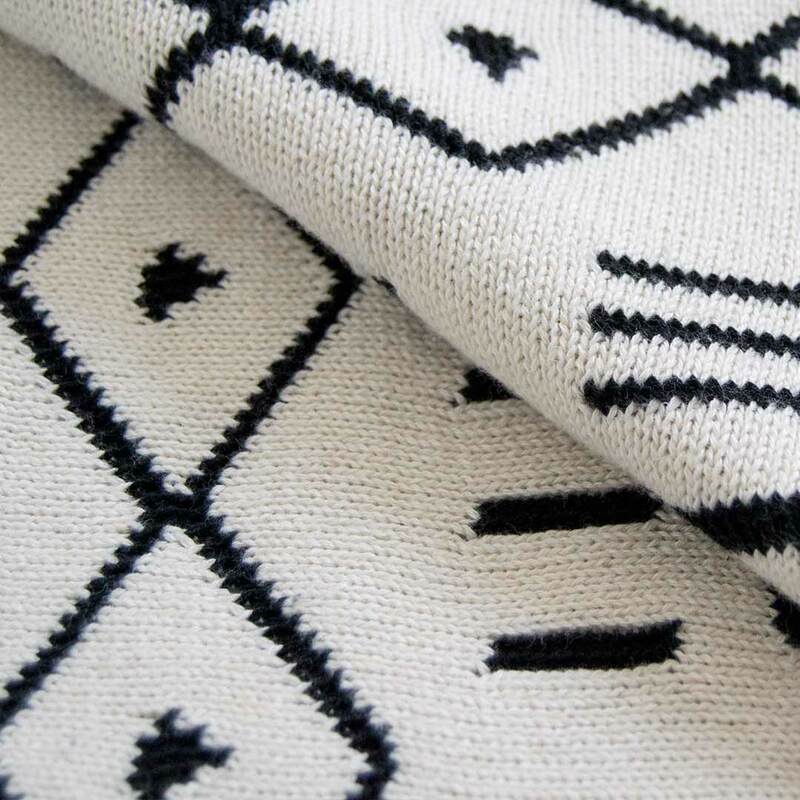 Back in the day, the Aztec women weaved textiles from agave fibres, but we’ve come a long way since then. 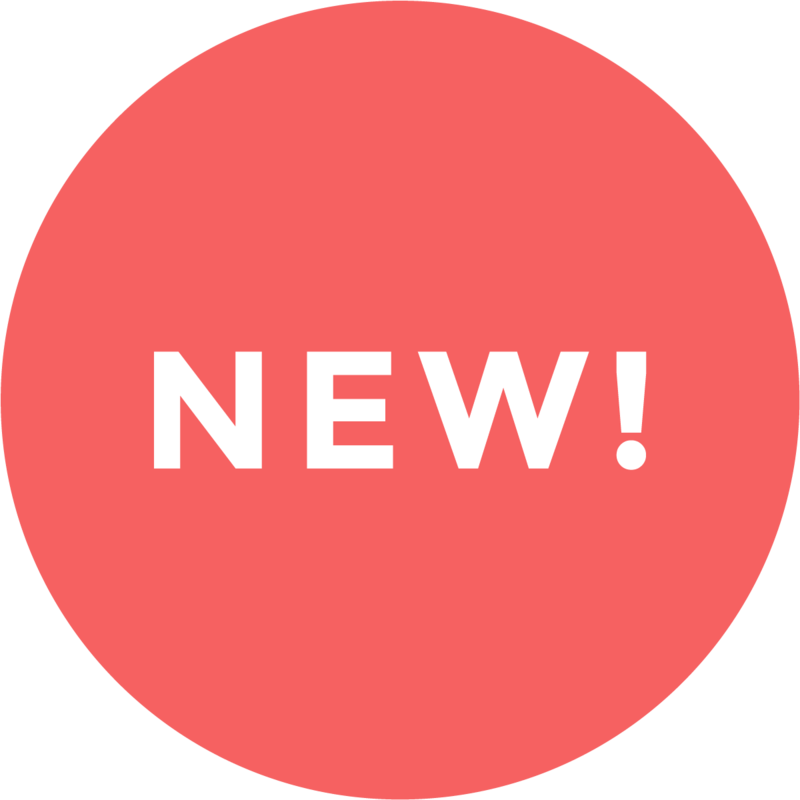 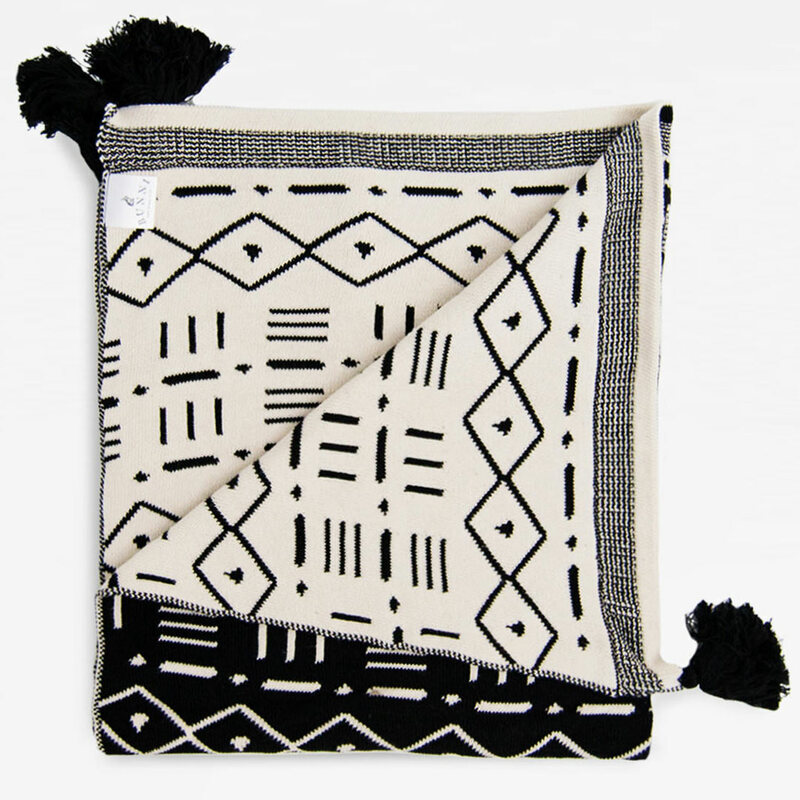 Our original and reversible Aztec Blanket is 100% cotton: soft, warm and so comfy. 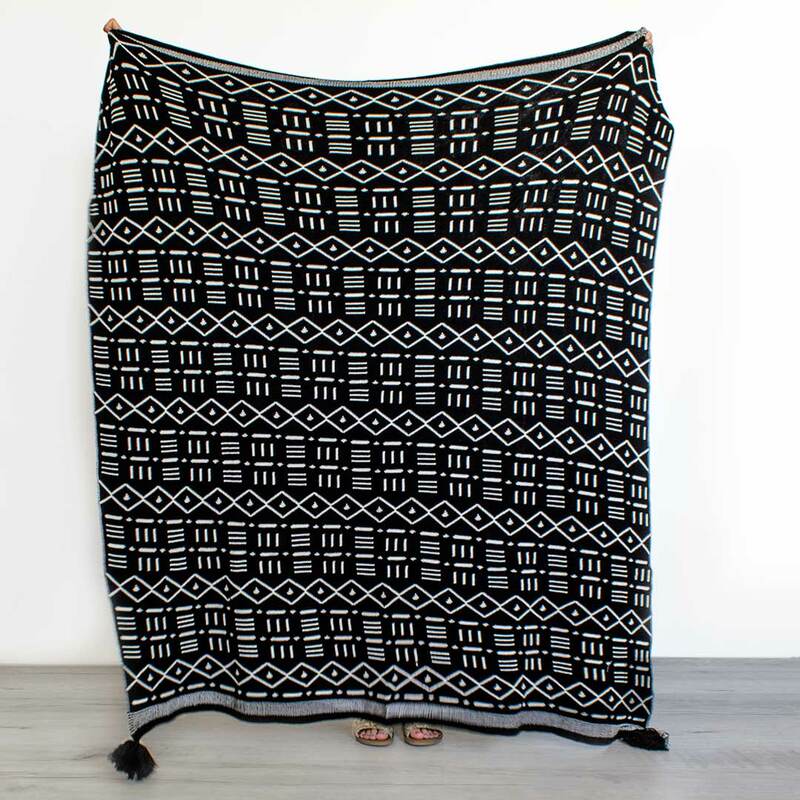 The blanket features a black Aztec style pattern on a natural background and jaunty black tassels on the corners, with the colours inverted on the reverse, offering an alternate styling option. 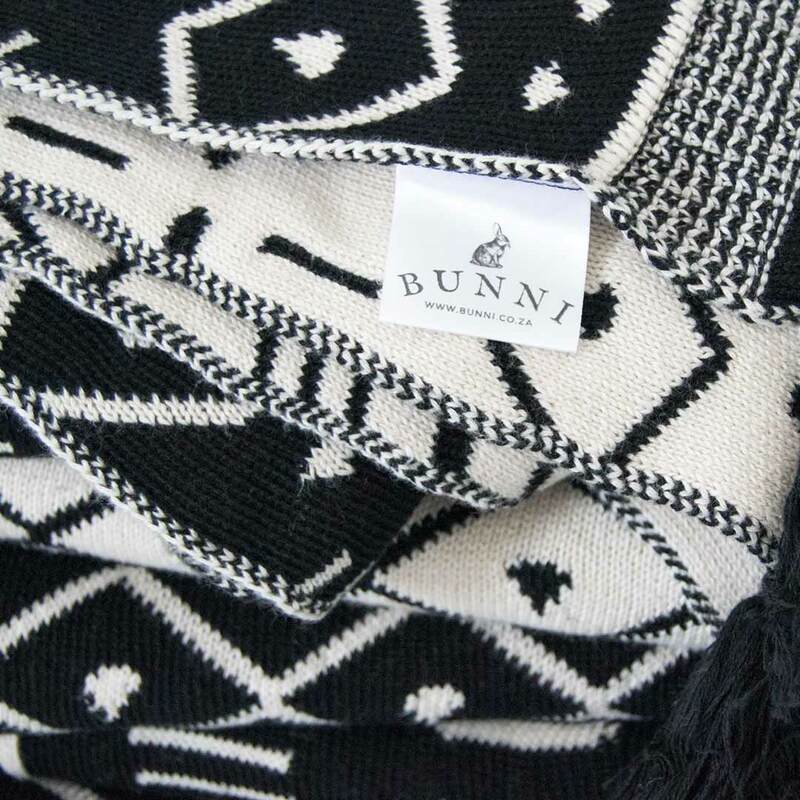 This original design blanket by Bunni is made of soft 100% cotton knit.